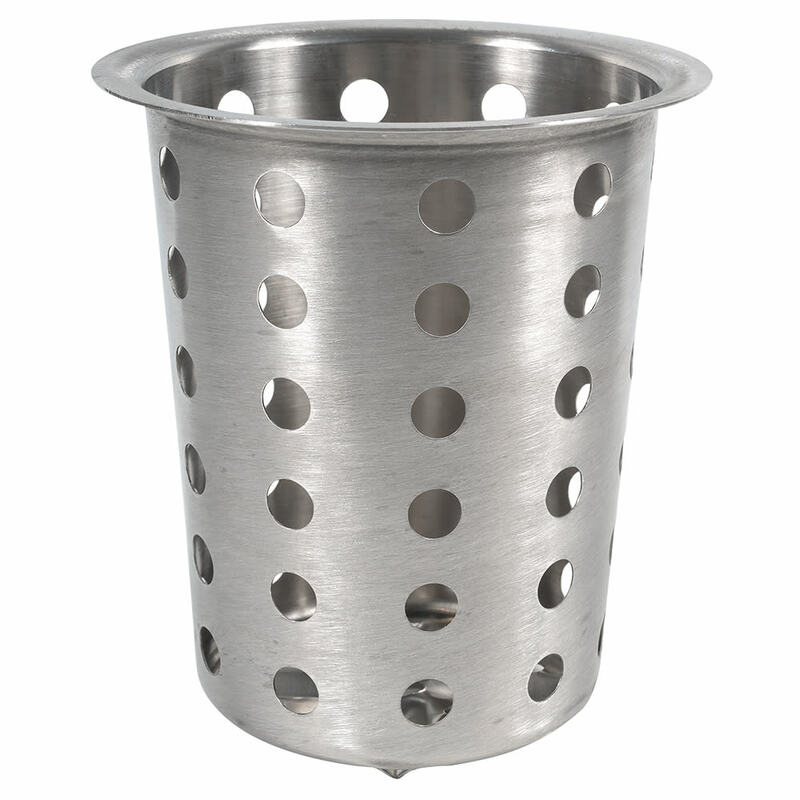 The Browne 80110 flatware cylinder holder is constructed from stainless steel for durability and resistance to corrosion, which makes it perfect for use in dish rooms. The perforated design helps flatware dry after it has been washed by exposing it to air. This cylinder is intended to hold cutlery like knives, forks, and spoons. 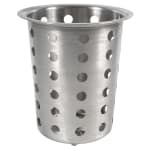 The Browne 80110 flatware cylinder holder is 5.5 inches tall and has a diameter of 3.8 inches.